The first step is often the hardest one to take...we're here to help. We have a beautiful studio located in the heart of Lane Cove. There is a car park directly across from the studio. If you drive up the Lane way you will see it on the right hand side. It is FREE parking for 2 hours. 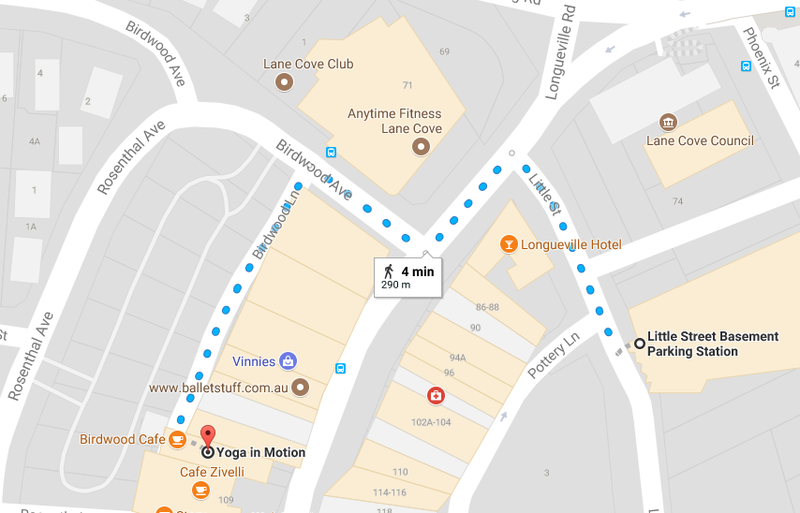 There is a second car park on Little st right next to the Longueville pub, The first 3 hours in the car park are free the studio is then a very short walk. Please see map below. We are located two levels above the Birdwood cafe. Once you find the Birdwood cafe our entrance is just to the left. Thank you! We will get back to you as soon as we can. Krystle.